Note: Post was written last week, when it was scheduled to come out, but Blogger ignored my schedule. Boo, Blogger. Summer is finally dwindling down here in Rome, although hopefully temperatures will still remain warm throughout September. Jaime and I have come full circle, celebrating our one year “Italo-versary” a couple of weeks ago on the 21st of August. After having experienced the full month of August without being a tourist (unlike last year where we spent the last weeks of August going to every major attraction), I’ve realized that August is my favorite time to be in Rome. Sure, a lot of businesses close for the month (like every. single. store. around our neighborhood), but the city is so peaceful and decongested. The streets are empty and parking has never been easier, even in the historic center. Basically the only people left in Rome were non-Romans, which was just fine by me. Jaime and I have spent a rather lazy end of July and August. We took a break from our constant traveling to just enjoy some time at home. What this means for you is that I’m finally getting to write about our summer adventures! Back in late June, Jaime’s brother and sister, Joaquin and Carolina, came to visit us for almost a full month! Of course it was great to have some family around and Jaime loves to play tour guide. They were supposed to arrive on a Thursday morning, but instead arrived Thursday night, at around 11 pm! Their flight leaving Miami was delayed, which meant they lost their connection in Portugal, which meant they were basically bounced around for almost 24 hours (don’t fly the Portuguese airline). 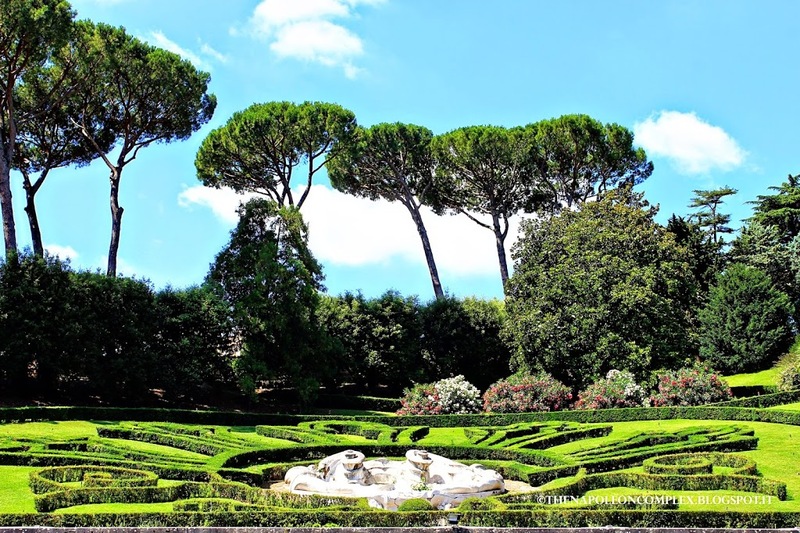 Luckily, their flight wasn’t rescheduled for the next day because we had already reserved tickets for a guided tour of the Vatican Gardens. 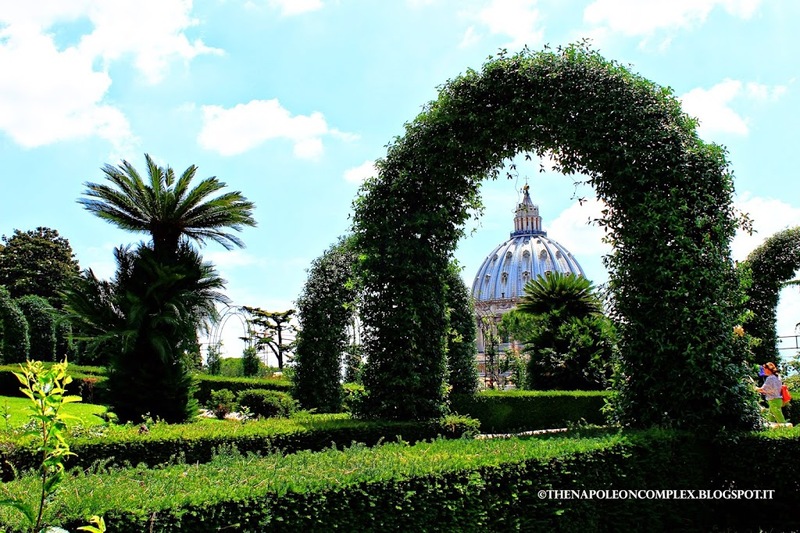 The Vatican offers various tours for the museum, gardens, and St. Peter’s Basilica, but the only way to have access to the gardens is with the guided tour. 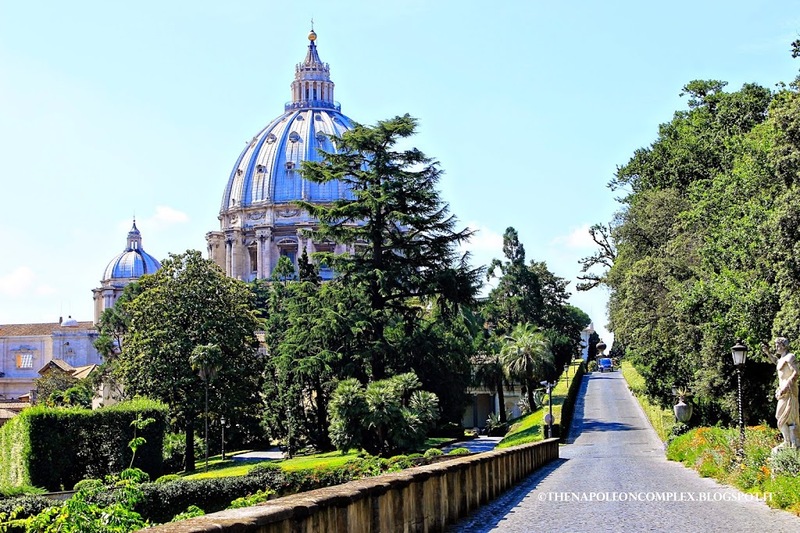 The tour takes you to the most important places within the Vatican city-state and offers some spectacular views of St. Peter’s Basilica from behind the church. The Vatican has many fountains, 97 in all according to their website, and we had the chance to see a few during the tour. Above you can see a part of the Fontane dell’Aquilone (Fountain of the Eagle) with the dome of St. Peter’s Basilica in the background. 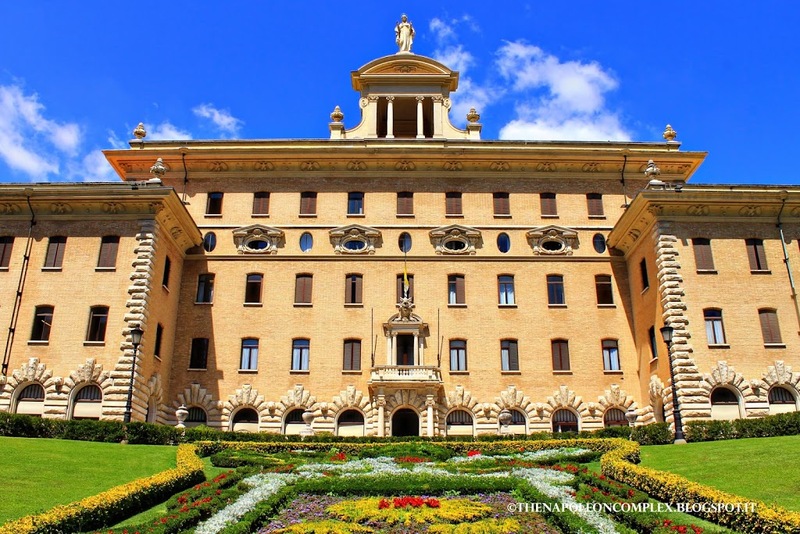 We also got to see the Palace of the Governorate of the Vatican City State (above), where the administrative functions of the Vatican are carried out. The landscaping at the bottom of the picture is actually the Papal Coat of Arms, although it’s hard to see unless you get a view from above. 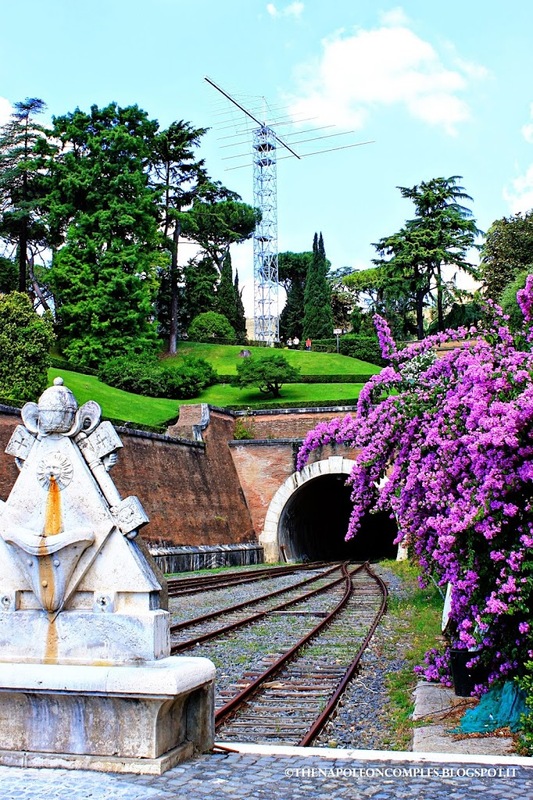 An interesting tidbit was getting to see the Vatican City railway system, the shortest national railway in the world with only one station! 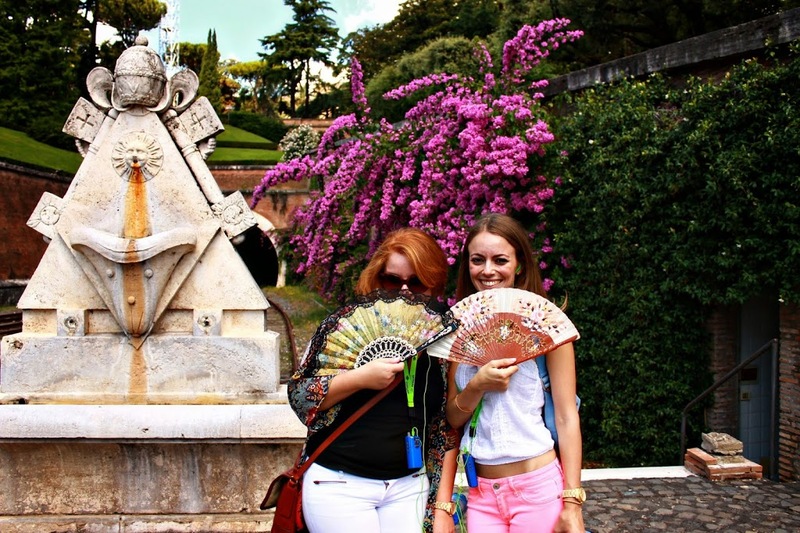 Carolina and I beating the Roman heat! 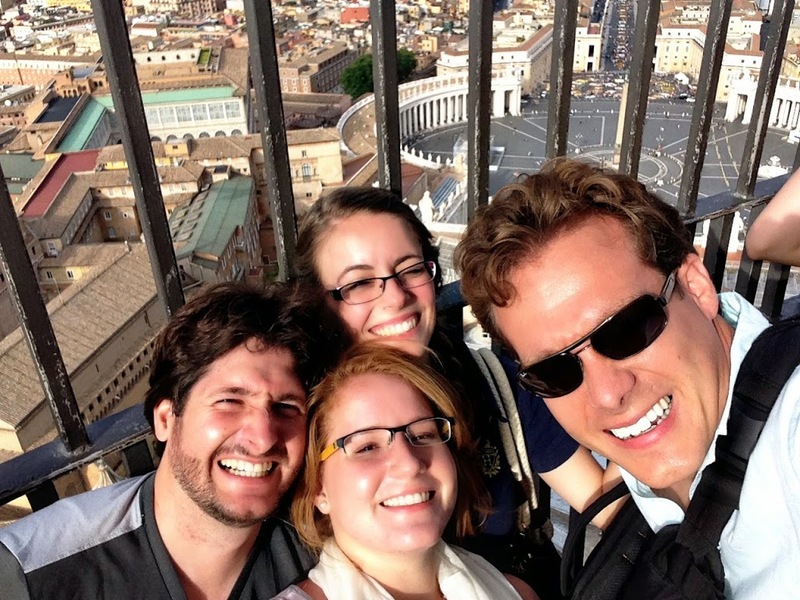 Tour tickets include a non-guided visit to the Vatican Museum, so we explored that after. 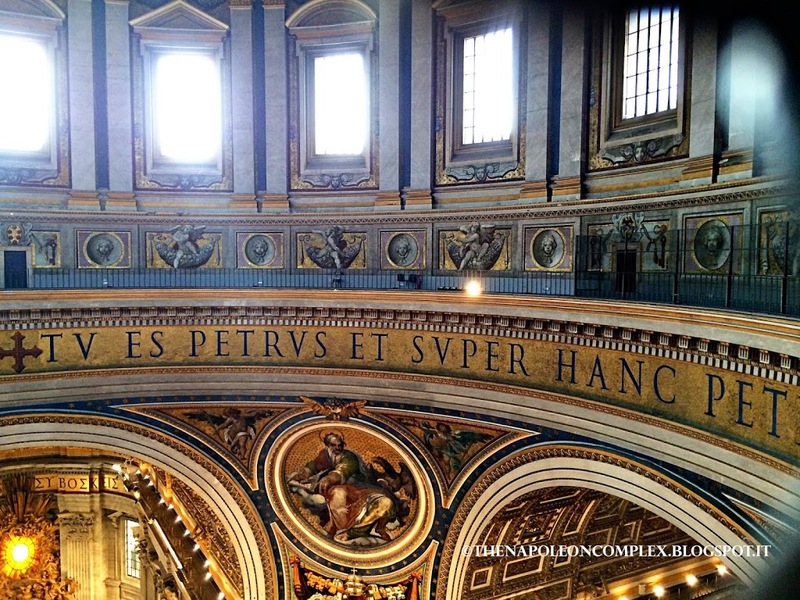 For those of you that have been reading my blog for awhile, I did a post last year on our first visit to the Vatican Museum, when we went on the last Sunday of the month and got in for free. Many people warn about the long lines and massive crowds within the museum, but I stand by my original opinion that if you have the opportunity to go for free, do it! The second time we went, it was on a Friday around midday and it was just as crowded as on the free Sunday, only this time we actually paid for the tickets. Obviously one must also take into account that it was the beginning of high season, but chances are if you’re vacationing in Italy, you’re coming in the summer anyway. The Sunday after our visit to the Gardens and Museum, we visited St. Peter’s Basilica and also climbed up to the dome of the church, which we had yet to do because St. Peter’s Square was undergoing some restoration at the beginning of the year and we didn’t want our pictures to have the ugly scaffolding (do NOT get me started on the topic of restoration in Rome). “Tu es Petrus…” Closeup of the detailing on the dome on the inside. 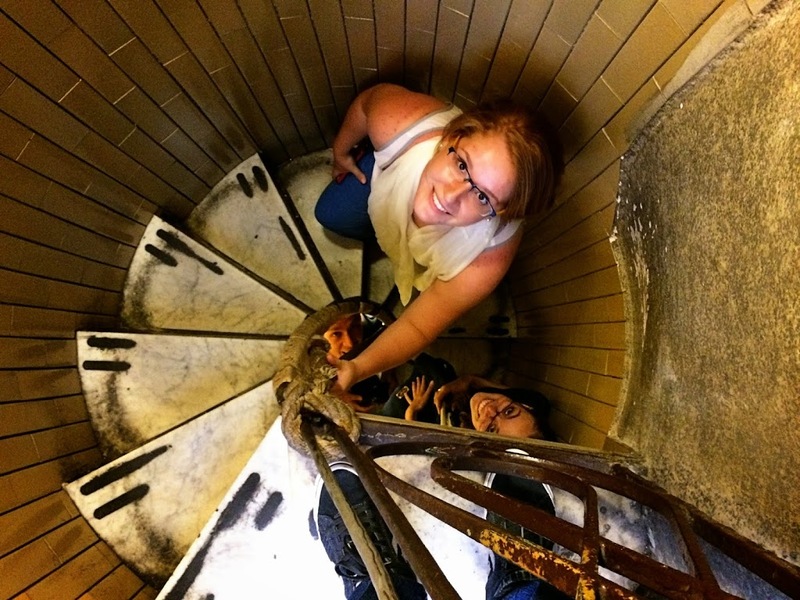 The climb to the top (because we’re obviously too cheap to pay extra for the elevator). 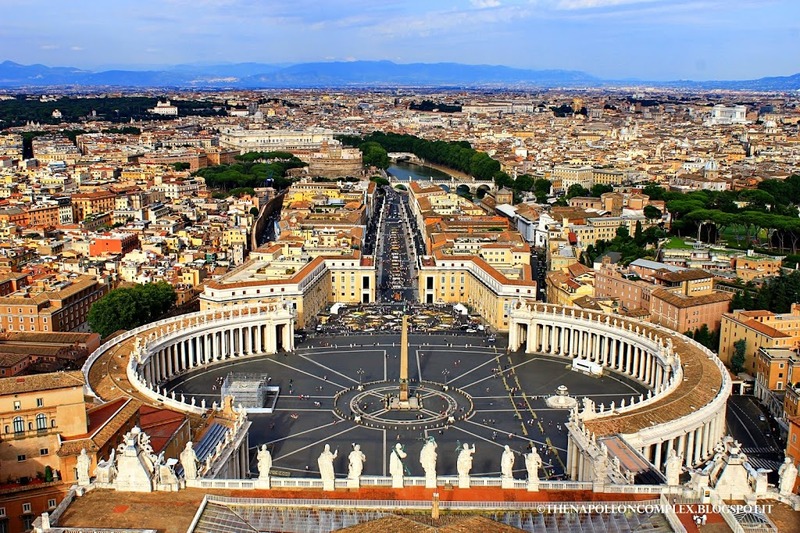 Obviously there were some spectacular views of St. Peter’s Square and the Gardens (great place to get a good view of the Papal Coat of Arms I mentioned earlier). It’s worth the money, but I wouldn’t recommend doing it if you see any restoration work going on in the square. The view. For people with Photography OCD like us, the fountain covered in scaffolding on the left is a major source of stress. 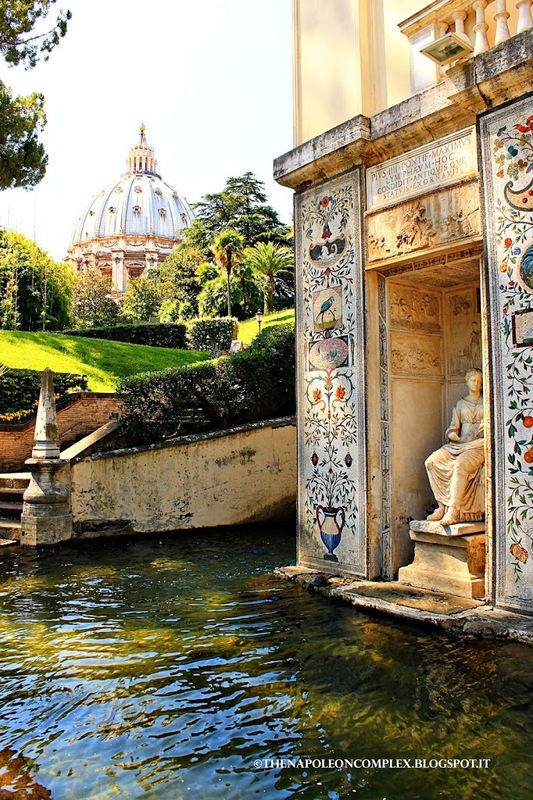 I have read your article on The Gardens of Vatican City & it was really informative post.